Don Cherry, in a commercial for a mortgage company; one of the many ways that he has managed to “monetize” his brand. When I think of Don Cherry, I think of the holy trinity: suits, hockey and dogs in that order. Whether you always agree with what Cherry thinks about suits, dogs or hockey is a different kettle of fish. He is a polarizing personality, you either really appreciate him or quite frankly, you cannot stand him. He is on the CBC’s Olympic team because he is an expert in hockey and he does offers a wealth of knowledge and perspective. The Olympics is all about ratings. 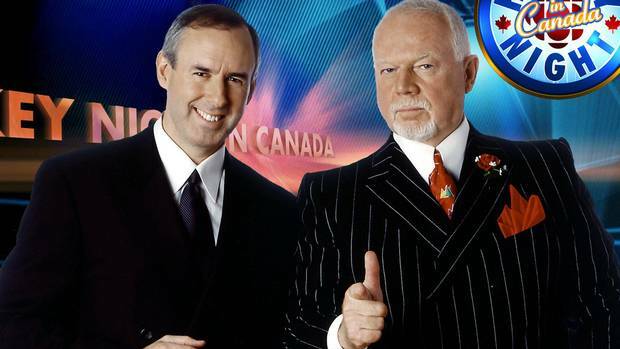 There is a reason that Don Cherry and Ron MacLean are together, many want to hear Don’s “knowings” about hockey, but of course they appreciate his very unique style. There are two things I really appreciate about his commentary; the first is really knowing himself well, which in itself puts him in the minority. According to Gallop, only 17% of professionals know their strengths. Although it takes time to build, I think understanding your expertise is fundamental. We are in the “age of the expert”. Yes, Google knows a lot, but wisdom is the key in today’s world. The beginning of wisdom is knowing what you know. The second element that stands out with Cherry is that he knows what he doesn’t know. He understands the inherit value that comes by surrounding oneself with others who know what you don’t know. Smart people know less and are open to others guiding them with their expertise and wisdom. You might know finance, technology, marketing, health care, but you probably don’t know personal branding, job search or leadership development like we do. Seeking out expertise in an area that is important reduces your risk and increases your chance of a successful outcome. Knowing, along the road with you! P.P.S. Timing is everything. Our Career Search Program, and our team can help you build a strategic plan for your job search. Contact Brittany Knapp, Manager of Client Services, at 1-877-256-2569 x 4 or brittany.knapp@careerjoy.com.